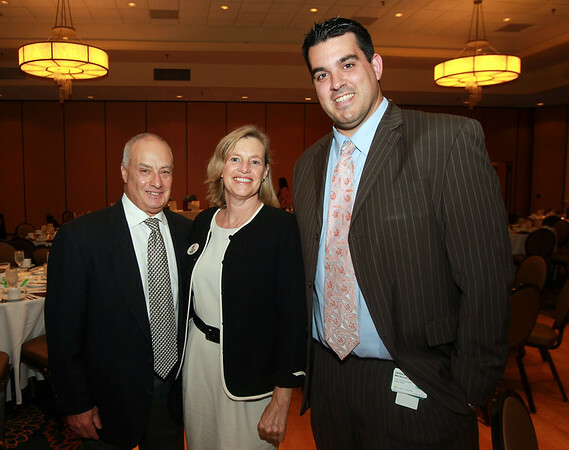 From left: Al Dichner, of R&L Associates, JoAnn Gillette, of 104.9, and Gerald MacKillop, of Beverly Hospital, at the annual Greater Beverly Chamber of Commerce Gala held at the DoubleTree by Hilton Hotel in Danvers on Wednesday evening. DAVID LE/Staff photo. 9/17/18.